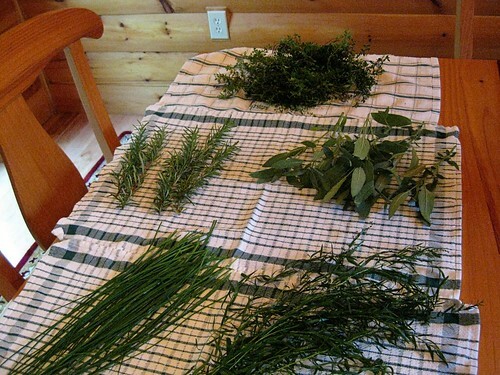 We have had several nights below freezing, so I decided to harvest some herbs for winter usage. 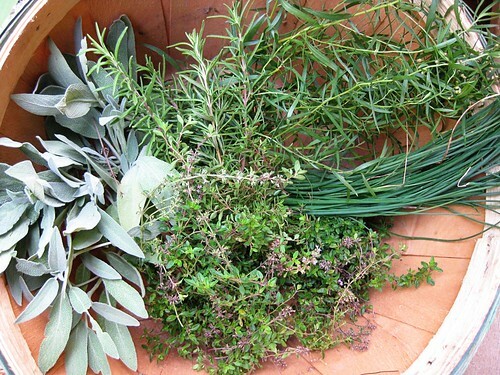 I went out to where my herbs grow amongst the rocks with a little basket and gathered thyme, sage, rosemary, chives and tarragon. Then I rinsed them in cold water, spun them in the salad spinner to remove excess water, and arrayed them on kitchen towels to dry. I plan to store them in glass jars. I had a good crop of basil and parsley earlier in the summer as well.